What have you done to me Rachel Van Dyken? I know, you completely DESTROYED me. The problem is that in destroying me you have made it almost impossible to talk about this book. This has become one of those 'What happens at Eagle Elite, stays at Eagle Elite.' 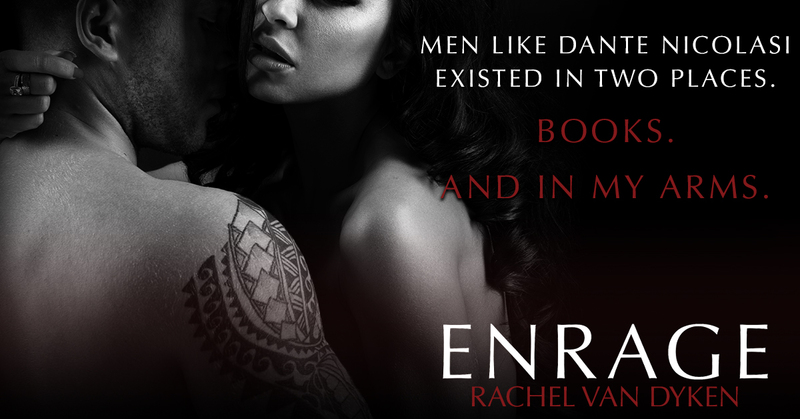 and I don't know how to tell people about Enrage because the last thing I want to do is spoil this book. In fact what I want is for them to go in as blind as me and every other reader and to feel every emotion you gave me. To feel the craving, to feel the love, to feel the hate, to feel the fear, the joy, the crushing blow, the despair, the hope...mostly to feel the life that seeps from this book and into our hearts. Yes Frank, YES! I want that. Rachel you have crushed me with this book but you have also made me want to live, but not just to live, to LIVE HARD! I loved the slow build up of the relationship between Dante and El. I loved their chemistry, the desire and the fear. My heart immediately went out to Dante. He is such a brash and charismatic personality that he burst into life on the pages. He is everything that Frank talks about in his quote to El. Dante is life. He is the embodiment of that quote and I love him the more for it. I loved El, this girl has been through so much. You can't blame her for her fear and her timidity. My only challenge is I wished I had seen more development with her. There is no doubt that her character grows through out the story and I don't know if the reason we don't 'see it' happen in a more obvious was us because of the other things happening in the book drowning out her personal growth but I wish it had been there. I would have liked to have had more introspection from her. More eye opening moments of realizing that she is no longer trapped, that she no longer has to fear being abused by the people who are supposed to love her. I think sadly that El in her timidity gets overshadowed in this book by Dante and other family members. This book turned into a book about the family for me with a side of Dante and El. While this book is about life it is also about death. The death of the ways of the past, the death of youth for these characters, yes even through the past 7 books they have all held that air of youth about them, as they should because they are young and we can't forget that. In Enrage however I feel the loss of that youth. They have been young men and women playing hard in an aged game but now they are leaving their youth to their children and becoming hardened. I know you're saying "Malissa, stahp, these characters have been hard since day one." I don't disagree. They have been hard, they have been callous, they have been ruthless, but they have not been hardened. They have always had a light, they have always had hope. I'm not saying that is completely gone, but I am saying that Rachel dims that light severely in Enrage. She changes everything. Have they always recognized what their life is about and how they needed to live it, yes, but it hasn't been until this book that their world has really stepped up and slapped them in the face. These are still the same characters that we have grown to love like family over the last several years but their world is so much different now and I am both anxious and terrified to keep living it with them. 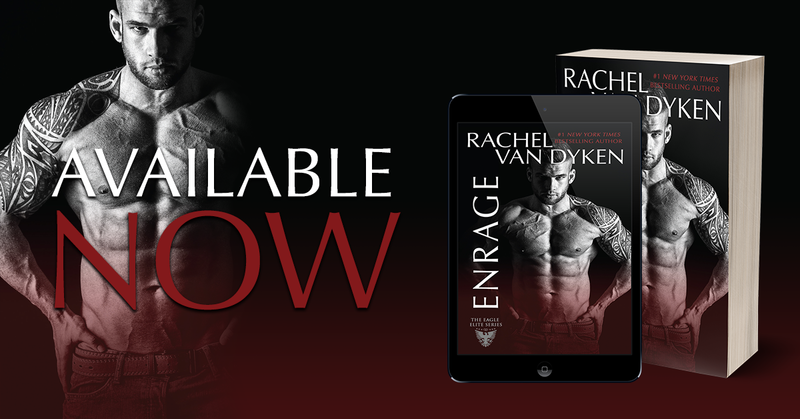 All Eagle Elite books have an edge, have a sadness, but only two have ever beaten me down, Elude and now Enrage. They are the type of book that make it hard to get up the next morning, the kind of book that makes you almost too depressed to pick up the next one in the series but make it too hard to not because while you're heart has been utterly destroyed you know that the author, you hope that the author, will piece you back together. 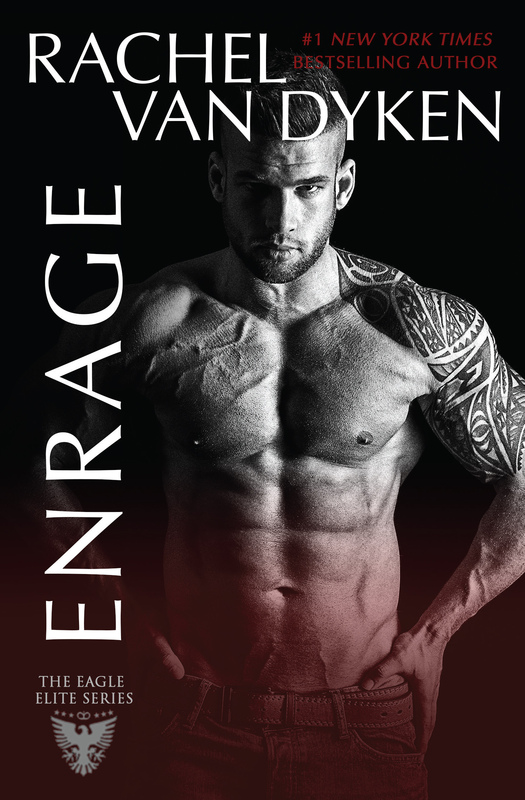 When I picked up Enrage I never saw the end coming. I picked up on the clues through the story and even when I knew what was happening I was still shocked that it all actually occurred. I wanted to cry and rage and then cry a whole lot more. I don't know how we come back from this I really don't but I have to have faith that Rachel will make our Eagle Elite world right again. Please.